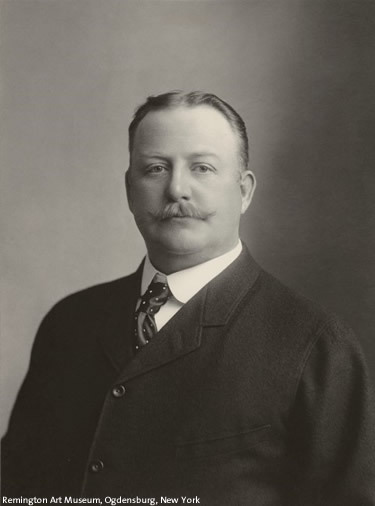 The Frederic Remington catalogue raisonné includes signed oils, watercolors, and drawings by the artist known to us at this time. It also comprises any signed and unsigned oils, watercolors, and drawings that were published during his lifetime, but their whereabouts are unknown today. 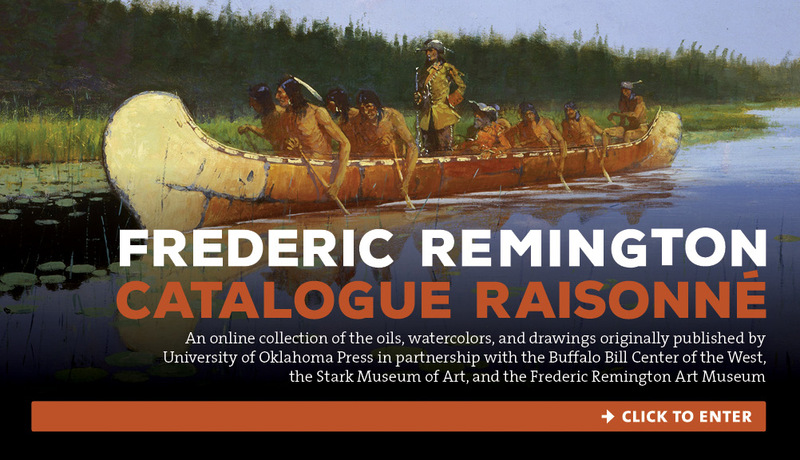 As well, this catalogue raisonné includes selected unsigned, unfinished paintings, and oil studies in the collections of the Frederic Remington Art Museum and the Buffalo Bill Center of the West. Where identified, unsigned studies and drawings that relate to a particular finished artwork are included, as are selected associated photographs. Of the over three thousand identified Remington artworks listed here, approximately one thousand three hundred have been located. Every attempt has been made to secure photographs of originals. When photographs of originals were not obtained or when reproduction rights were denied, if the artwork was illustrated, the illustration is reproduced, surrounded by a black border. If no known image exists and the object is known by title only, what information we have is listed by title for the appropriate year. New information about Remington’s oeuvre continues to surface. We do not claim that this is a complete list of all his works. We have included in this catalogue only artworks that we believe to be authentic.